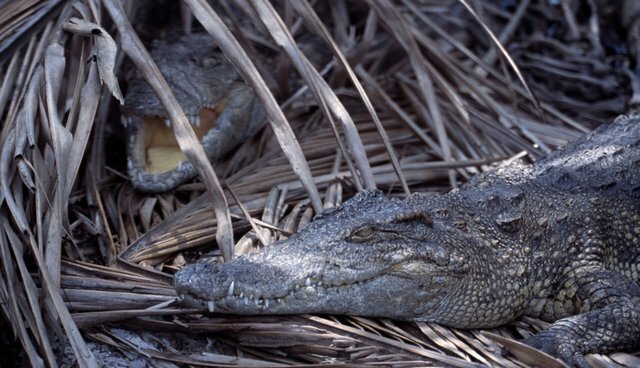 Fewer than 1,000 Critically Endangered Siamese crocodiles (Crocodylus siamensis) remain in the wild. The species has been eliminated from much of its former range through Southeast Asia and parts of Indonesia by over-hunting and habitat degradation and loss. The Wildlife Conservation Society, a Critical Ecosystem Partnership Fund (CEPF) grantee, recently released 17 juvenile Siamese crocodiles into a protected wetland in Lao PDR, within the Indo-Burma biodiversity hotspot. WCS's Lao PDR Program designed and implemented the Community-based Crocodile Recovery and Livelihood Improvement Project, whose goal is the recovery of the local Siamese crocodile population and restoration of associated wetlands, linked by socio-economic incentives that improve local livelihoods.